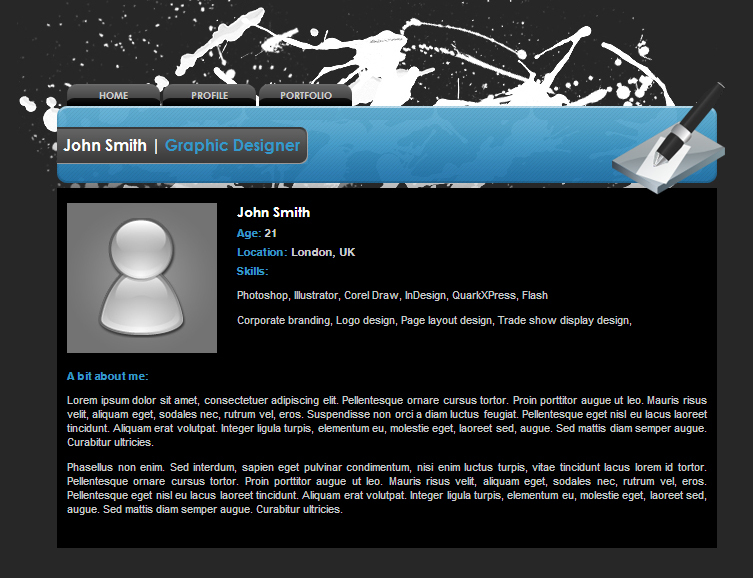 Enjoy this rich graphic website template, designed for those individuals looking to show off their work in professional manner. 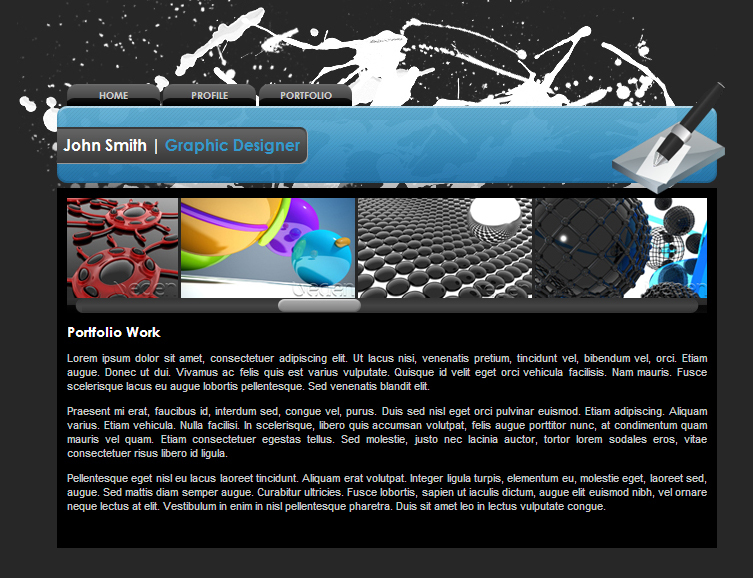 All pages have been designed with table less XHTML/CSS and works in all major browsers. 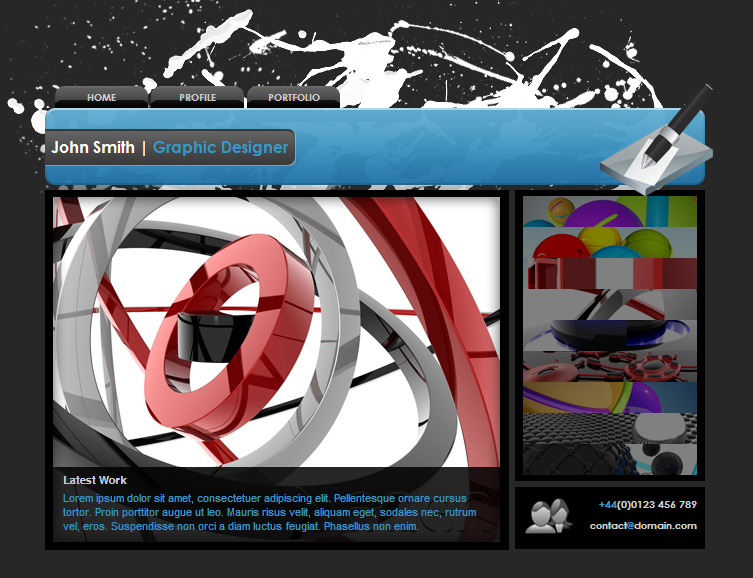 Includes a neat image rollover system on the home page using Mootools. A clever way to show off your best pieces of work in a small thumbail form that encourages user interaction and increases the chances of people viewing your work. I have supplied four template pages that give you an excellent base on which to add all your own content. 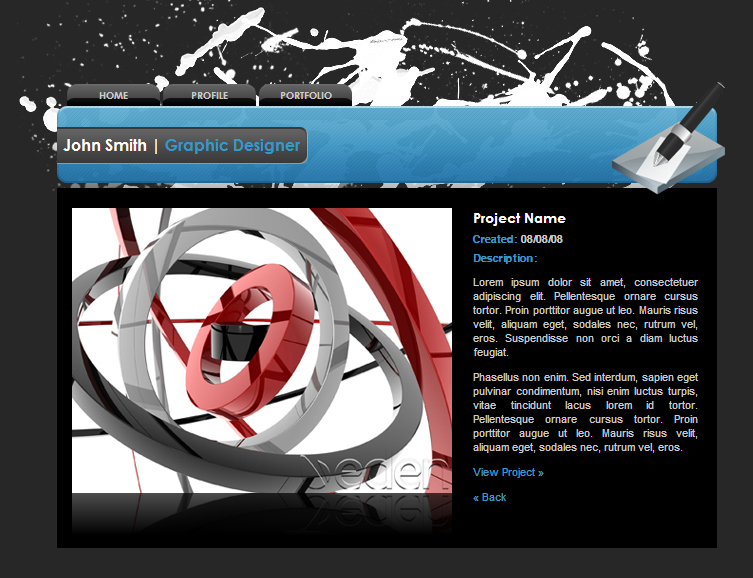 Portfolio page with excellent Custom made horizontal work scroller with custom scrollbar – None of those ugly scrollbars looking different on different browsers!! 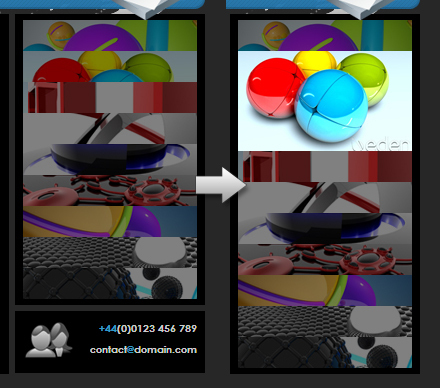 Project page includes a script to provide an automatic reflection to your image!